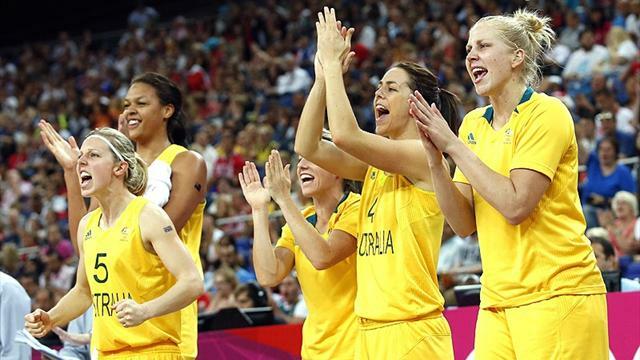 Australia beat Russia 83-74 to win the women's basketball Olympic bronze medal on Saturday. The victory extended Australia's medals streak to five consecutive Olympics in women's basketball following silver in the three previous Games and a bronze in 1996. The United States later won their fifth successive Olympic women's basketball gold by beating France 86-50 at the London Games on Saturday. The victory extended the U.S. women's team Olympic winning streak to 41 games dating back 20 years to their bronze medal victory at the 1992 Barcelona Games.